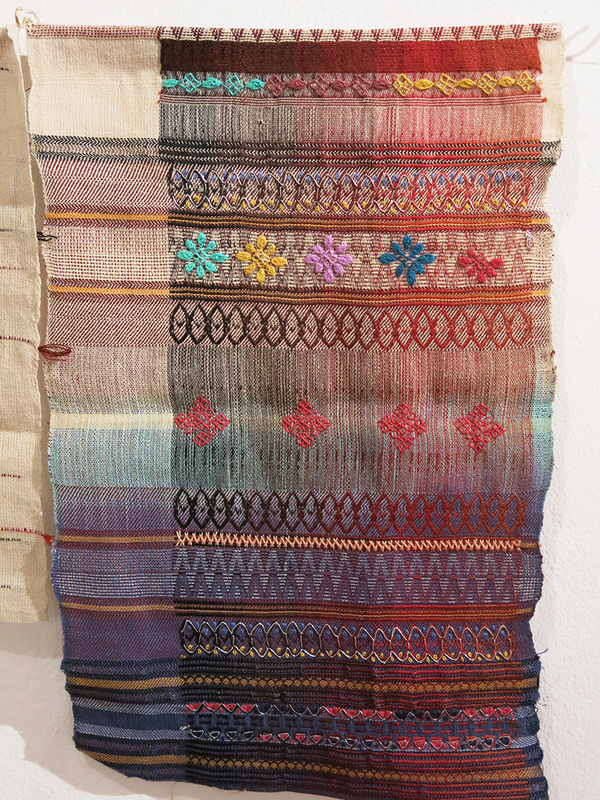 The Indus Valley area has a longstanding tradition of stitch-craft and textile weaving, but in recent years the quality of workmanship has deteriorated due to a lack of emotional connection between the makers and their craft. 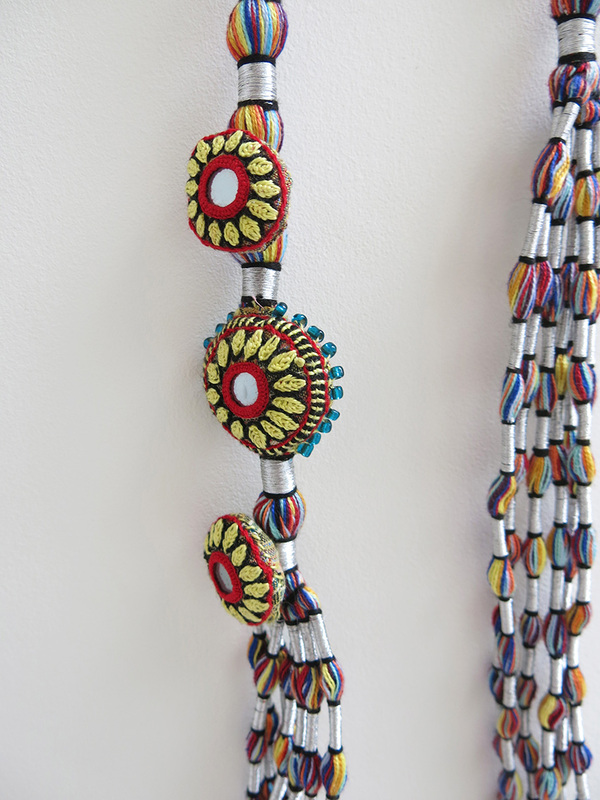 As part of her PhD at the Royal College of Art, Seher Mirza set up a project not only to research this trend, but also to provide a sustainable fair wage income stream to the women in the village where the project was piloted. 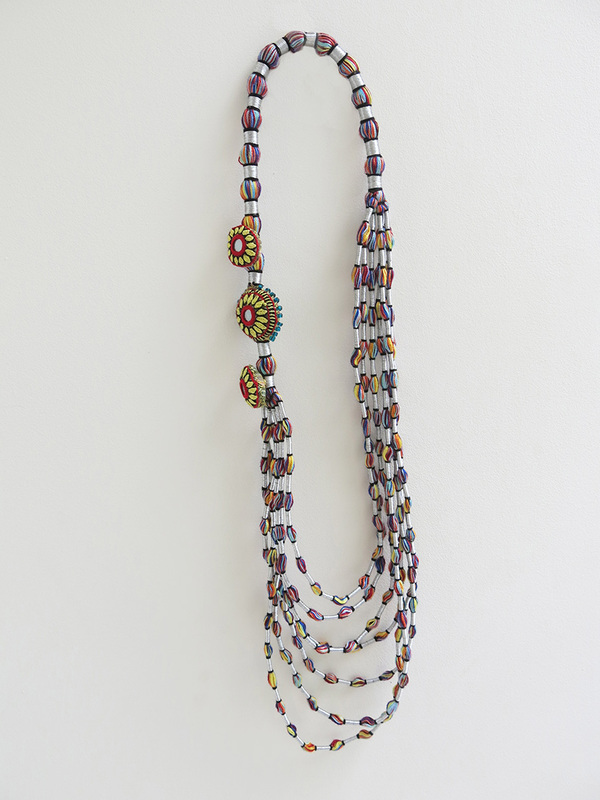 London based Mirza, originally from Karachi, now works with craft people in the villages of Southern Pakistan to create ethical jewellery, clothing and accessories. S Jo, a new brand associated with the project has recently been launched. All the products have been developed through rigorous design workshops, with the women responsible for their own colour palettes and prototype designs. 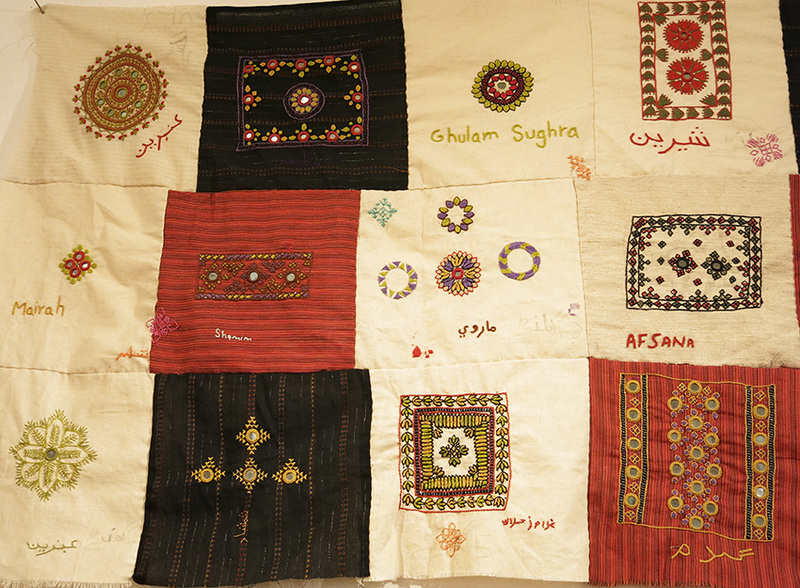 The aim is to “empower and emancipate through craft and design, giving the women confidence, self-reliance and improved decision-making skills, so they can transform their lives for the better.” Men previously dominated the village, and weren’t too keen on their wives working for a living wage. However, many of the women now earn more than their husbands, and can afford to pay for their children’s schooling. 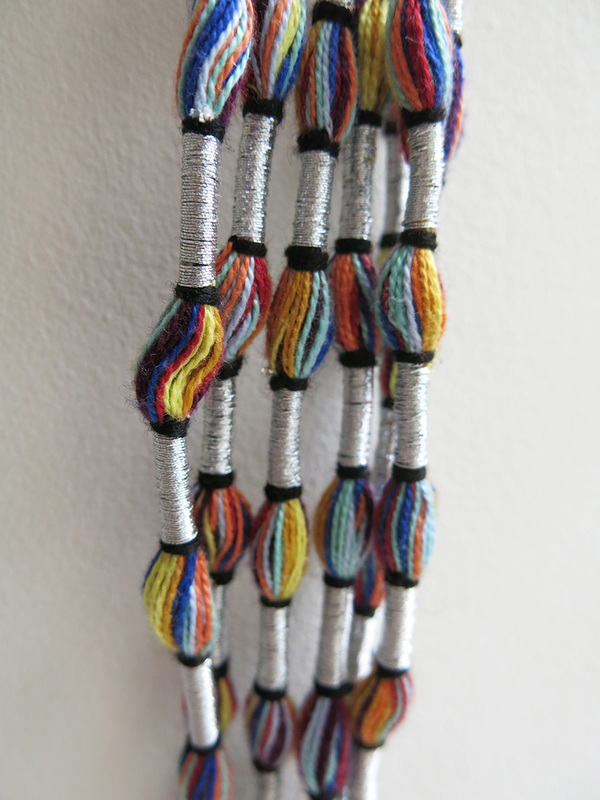 The project initially started in one village with 20 female artisans. 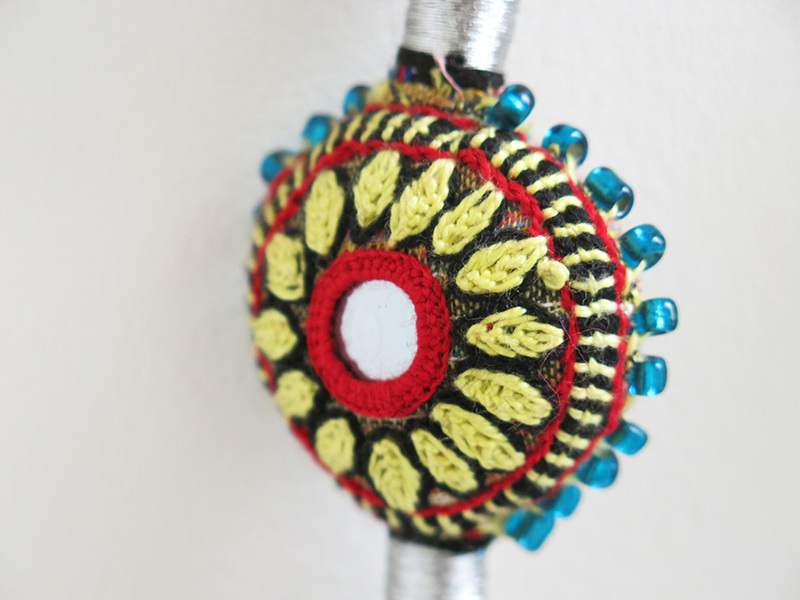 It grew steadily, and there are currently 75 female and male artisans working in four villages – each with a different traditional craft. Pieces are named by their designers. 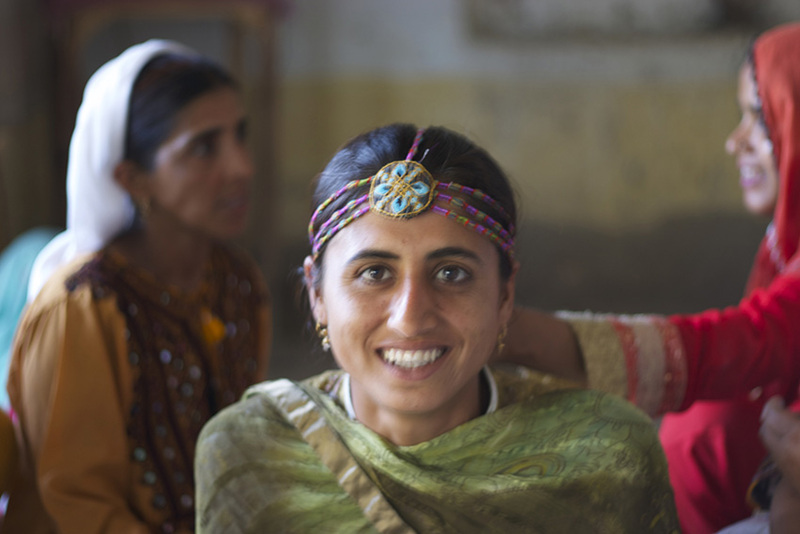 The necklace shown above is called Rani and was made by Sughra (below) from the main village – also seen above top in her workshop, while a sample headpiece she created was being adjusted. All of the S Jo’s products are sold with cards naming the artisan who made the piece, and the related village code (in this case AGJ). The costs involved in a project of this nature are high. There is no infrastructure in place for easy access to and from the rural artisans. The overheads for developing new designs, and producing unique and original items, are much greater than for large production runs. Nevertheless, the project is now entirely self-funded – and the raw charm of these delicately handcrafted accessories speaks for itself. thumbs up seher! this is truly a valuable form of art that we as pakistanis have overlooked and forgotten! 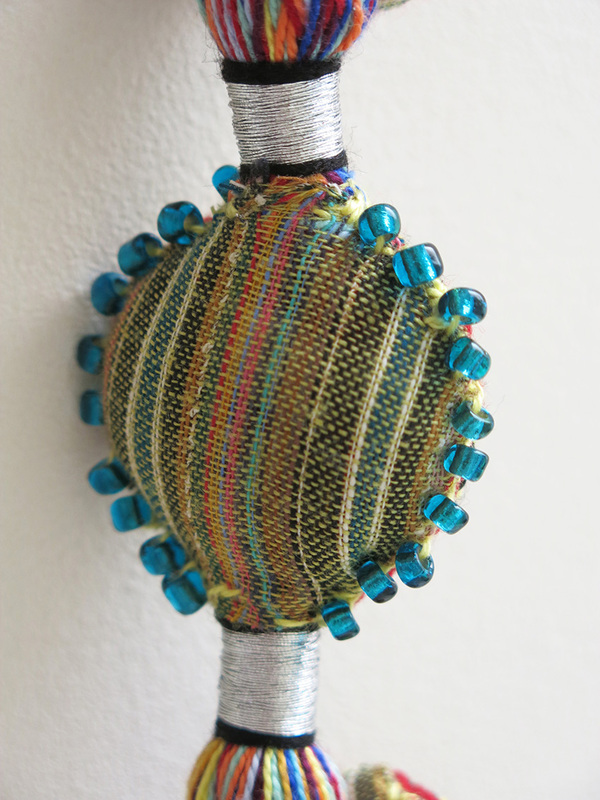 this is really cool stuff that these women have made using the traditional art form! keep it up seher! Fantastic work by Seher who has been working tirelessly with rural women from Sindh in Pakistan, over the last 5-6 years. Its not just about creating a new product, but empowering the craftswomen to take ownership of the entire process from execution, design to innovation etc. with huge social dividends as well.